Deputy director of Supreme Court security Jess Gundy is sworn in to provide testimony to the House Judiciary Committee on July 19, 2018. 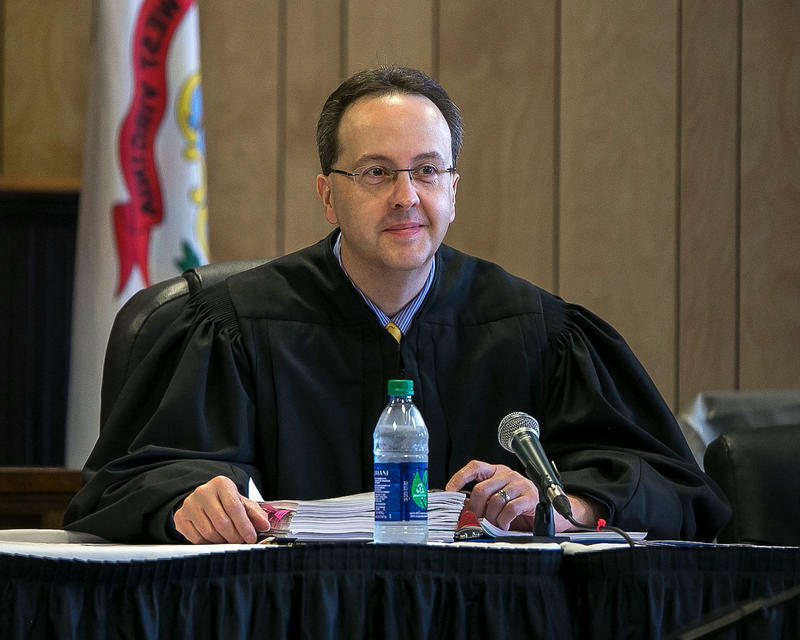 Deputy director of Supreme Court security Jess Gundy said he was asked by Loughry in a meeting with other court employees to remove a desk -- commonly known as a “Cass Gilbert” desk -- and a couch from Loughry’s home. Gundy said the couch was removed from Loughry’s home and a desk was removed a few days later. Director of Supreme Court security Art Angus and court “messenger” Paul Mendez reiterated testimony provided by Gundy about the justice’s use of state vehicles and moving the furniture from Loughry’s home.The two court employees assisted in moving the furniture. Angus testified that media attention had been drawn to Loughry and that the justice had planned to remove the desk from his home at a time when neighbors would not see it being moved. He and Mendez said they were told to wait for notice from Loughry’s wife so that no one would see them. “He said, ‘We’ll go up early Thursday morning because we’re going to have a time getting it out and getting it in the garage. And I'll just have Kelly call me if the neighbor leaves, because we don't need to be all photographed again,’” Angus recalled of Loughry’s directive on moving the desk. Over the course of the media learning of the furniture at Loughry’s home and it being removed, Loughry contended the couch once belonged to former Justice Joseph Albright, who is now deceased. In emails, Loughry told reporters that -- upon Albright’s death -- the former justice’s family gathered some possessions but left others, including the couch. Gundy and Angus, who also help coordinate the court’s fleet vehicles, testified that Loughry would often take state-owned vehicles on weekends and without providing a destination or purpose. He reported that Loughry told him at various points that Supreme Court justices did not need to provide that information. Gundy also detailed a strained relationship between Loughry and former court administrator Steve Canterbury. Gundy recalled escorting Canterbury from the court offices when he was fired by Loughry in January, 2017. The committee also heard from court public information officer Jennifer Bundy about communications she sent on behalf of the court to reporters inquiring about Loughry’s possession and removal of furniture from his home. Bundy reported she was directed to tell reporters about a policy that allowed for home offices -- when no such policy existed. "He was pretty adamant that there was such a policy," Bundy told the committee. "At the time I sent [those statements about the home office policy] I didn't know it wasn't true." She said, at times, Loughry would direct her to answer media questions regarding the furniture and other times he would answer them directly. Bundy said once Loughry directly responded to media inquiries without conferring with her. She recalled expressing apprehension about her job security to Loughry. “At one point, I became concerned about my job because they were answering media questions that seem to be important to me and I wasn't involved in that,” Bundy said, noting that she asked Loughry and Judge Gary Johnson -- who served as court administrator following Canterbury -- about the status of her position. “I just flat-out asked them, ‘Am I gonna lose my job? Why aren't you involving me in these conversations?’ And Justice Loughry assured me that I was not going to lose my job. He said it two or three times. But Judge Johnson told me that the reason they had not involved me was because I had said I was friends with Steve Canterbury and they didn't want to put me in a difficult position,” she said. Last week, members heard testimony from state legislative auditors and former court employees, who also testified about their knowledge of justices use of state vehicles and possession of state property in private homes -- as well as lavish spending for office renovations. Loughry has been indicted on 23 counts of federal charges, including fraud, witness tampering, making false statements and obstruction of justice. He was suspended without pay last month following a statement of charges from the Judicial Investigations Commission -- a disciplinary arm of the court. 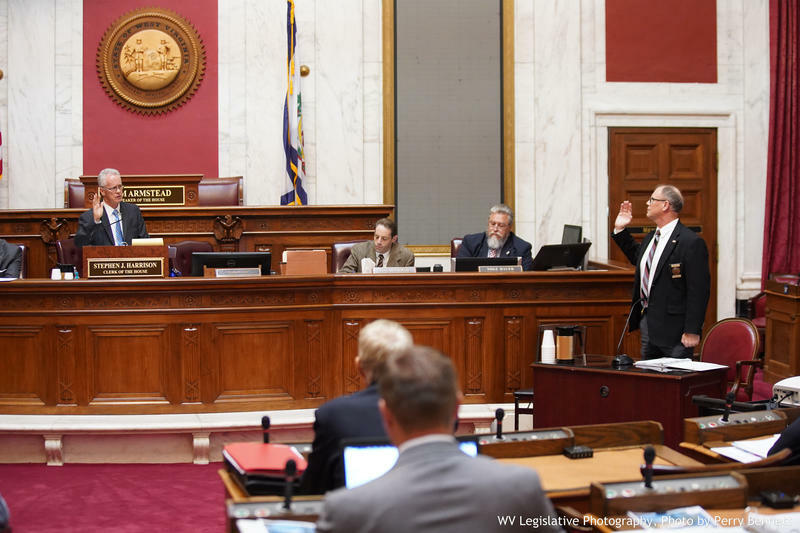 Following the adoption of a resolution last month, the House of Delegates authorized its Judiciary Committee to investigate the possible impeachment of all five of the justices on the state’s high court. Under scrutiny for using a state vehicle for personal reasons, Justice Menis Ketchum announced his retirement last week. Committee members are scheduled to resume hearings Friday, including a tour of Supreme Court offices. In an email, Bundy said media would not be allowed to take part in the tour. Reporters covering the impeachment proceedings have pressed to have the same access as the committee and be provided answers as to why they have been excluded. 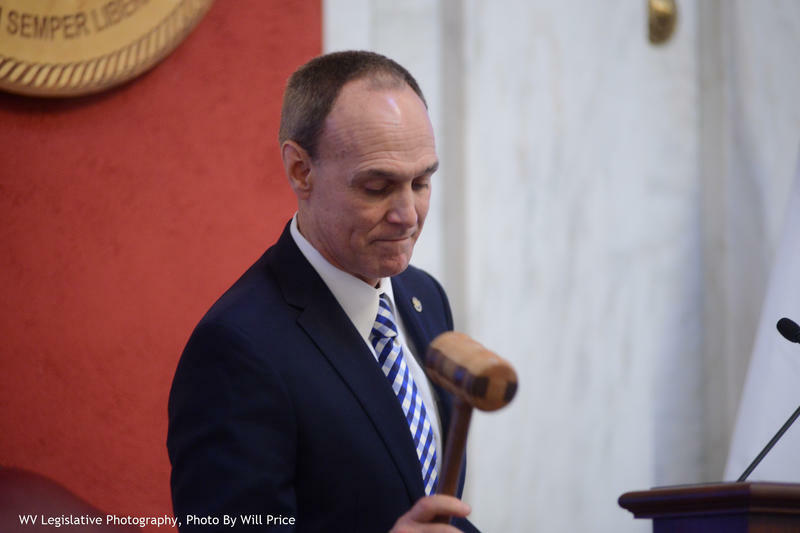 West Virginia Senate President Mitch Carmichael is criticizing a teachers union that won a pay raise earlier this year over what he called its "Obama style socialist agenda."